Disney Doc McStuffins Doctor's Bag Only $26.58 (Reg. $69.99) With FREE Shipping! You are here: Home / Great Deals / Amazon Deals / Disney Doc McStuffins Doctor’s Bag Only $26.58 (Reg. $69.99) With FREE Shipping! 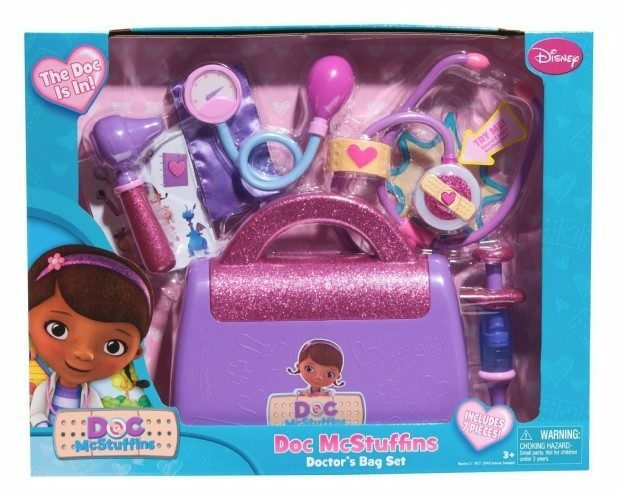 Disney Doc McStuffins Doctor’s Bag Only $26.58 (Reg. $69.99) With FREE Shipping! If you have a Doc McStuffins fans in your household, check out this great deal on Amazon! You can get this fun and highly-rated Disney Doc McStuffins Doctor’s Bag for only $26.58 with FREE shipping!